Cagezilla FC returned to action last Saturday, July 23rd. On a day where the weather was in the mid-90’s and the humidity was, oh, let’s say 300%, the Silver Eagle Group in Ashburn not only promised to be the home for some exciting fights, it was also supposed to be a respite from the sweltering elements outside. Unfortunately, although the lobby, ticketing and concessions areas were nice and cool, the giant cinder block hangar where the fights take place seemed to have an A/C issue, turning the arena into an what felt like the inside of an easy-bake oven. The sold out crowd did not seem to mind, stuck around, and in turn were treated to nine very entertaining amateur MMA bouts and, to their knowledge and ours, the very first Boonchu Cup style match in the US. The night opened up with two competitive unanimous decisions. The winner of the first fight, Jeffrey Glossner out of BJJ Conquest, flew out from California that day to compete on just a several days notice. Kaizen MMA’s Jacob Olave had a good showing in his 5th amateur fight, showing off some improved striking at distance and finishing his opponent, John Kermon, in the first round via rear naked choke. The night had two, back to back, close split decisions. One between Elliott Strickland and Ramon Neyra and the other between Paul Rath and Schyler Sootho. In the Neyra/Strickland affair the third round seems to have been the deciding factor. In round one, Neyra showed to have better effective striking with kicks at distance and ended the round in back mount, fishing for a rear naked choke. In the second, Strickland did better with his takedown defense and landed a big head kick. The third was close all the way around. It’s easy to see why the judges were split, and in the end awarded Neyra the win. The Rath/Sootho fight may have been even closer to call since all but the last 30 seconds or so were contested on the feet. Sootho spent a lot of time in the first round looking for an overhand right and using a teep to create distance while Rath was content to sit back and counter. The second round was the closest, with Sootho landing a jab effectively and often throughout, while Rath made good use of landing leg kicks. Rath may have stolen the third round, and ultimately the win, in the very last seconds as he took Sootho’s back and ended the fight landing strikes from that position. Speaking of close split decisions, just a couple of months after losing a split decision and the Cagezilla Welterweight belt, a 15 pound lighter Brent Walter made a quick turnaround to win the Cagezilla Lightweight title against Team XCWT’s Antwan Bynum. Walter took the win quickly via a Von Flue choke in the first round. Bynum seemed to have injured his knee during the fight and was visibly tending to it at the same time he was trying to defend the choke. After the tap, the EMT’s on hand carried him out of the cage while trying to keep his leg stabilized. If you’ve never heard of the Boonchu Cup, it is a hybrid fighting competition popularized by Australian legendary Muay Thai fighter John Wayne Parr in which full Muay Thai rules are in effect, but instead of a ring, the fights take place in a cage and instead of 14 or 16 ounce Muay Thai gloves, competitors wear 4 ounce MMA gloves. The original fight was supposed to be between College Park MMA’s Matt Doerflinger and Tyler Lowe. Lowe, apparently did not have the proper blood work done and was forced to pull out of the fight. On fight day, Allen Hargrove took the fight and was competitive throughout all three rounds. In the end, all three judges scored the bout two rounds to one in favor of Doerflinger. The co-main event of the evening featured Capital MMA’s Heather Walker-Leahy against MMA Institute’s Chelsea McCoy for the vacant Cagezilla female Bantamweight title. If you just go by records, it would seem odd to have a 2-0 fighter and a 4-1 fighter going up for a title, but these ladies both come from solid gyms and have shown in a short amount of time that they have the skill set to be fighting in 5-minute rounds. Early in the first round, McCoy was having the better of striking exchanges and anytime Walker-Leahy threatened in the clinch, McCoy pushed her up to the cage and worked on taking Walker-Leahy down. In one of these exchanges, while Walker-Leahy was trying to get up, but still a downed opponent, McCoy landed an illegal knee to Walker-Leahy’s head. After that separation, the momentum clearly shifted in Walker-Leahy’s favor as she landed a huge body kick that doubled McCoy over. From there Walker-Leahy kept attacking with knees from the clinch, ground and pound strikes, and stuffed all of McCoy’s desperation takedown attempts. At the beginning of the second round it was clear that Walker-Leahy was the fresher fighter as she quickly sprinted to the center of the cage, while McCoy looked like she was still recovering. The second round was more of an exercise in patience, as Walker-Leahy took her time, carefully avoiding much of McCoy’s offense. Towards the end of the round, however, Walker-Leahy landed two left body kicks, followed by a knee to the body that dropped McCoy. Walker-Leahy pounced to try to end the fight with strikes, McCoy missed an armbar attempt, and Walker-Leahy found herself landing multiple short elbows from side control. Referee Elvis Bello gave McCoy every chance to defend, but called the end of the fight with just one second left before the end of the second round. The main event for the men’s Bantamweight title was an affair between Josh Aguero and Edis Starnes. Starnes looked like the bigger, stronger man in the cage, but what Aguero lacked in size, he made up in speed and technical ability. For most of the first round, Aguero avoided much of Starnes’ attacks on the feet and as soon as the fight hit the ground, Aguero’s BJJ skills proved to be superior as he quickly passed Starnes’ guard and finished the round landing strikes from full mount. Half way through the second round, Aguero landed a double leg takedown and passed to side control, where he landed enough strikes to force Starnes to verbally submit. Despite the heat, the night was full of very close and well matched fights that brought everything from dominant performances, to close calls and big upsets. 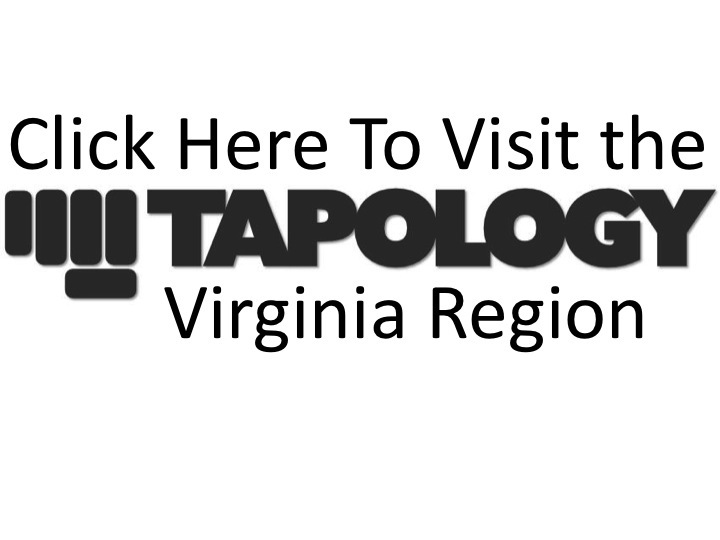 For full results go to the Cagezilla 41 Tapology event page. Cagezilla will return to the Silver Eagle Group in Ashburn on Saturday, September 10th.